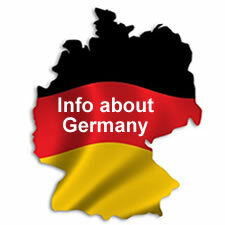 This section of this website is dedicated to provide general information about Germany which will help to know more about Germany and help us all to integrate faster. The information provided here is a collection of information from different sources and is intended to be a general guideline. Please do not completely depend on this information as this might be outdated. Hence, pelase verify the latest information from right sources before taking any action.